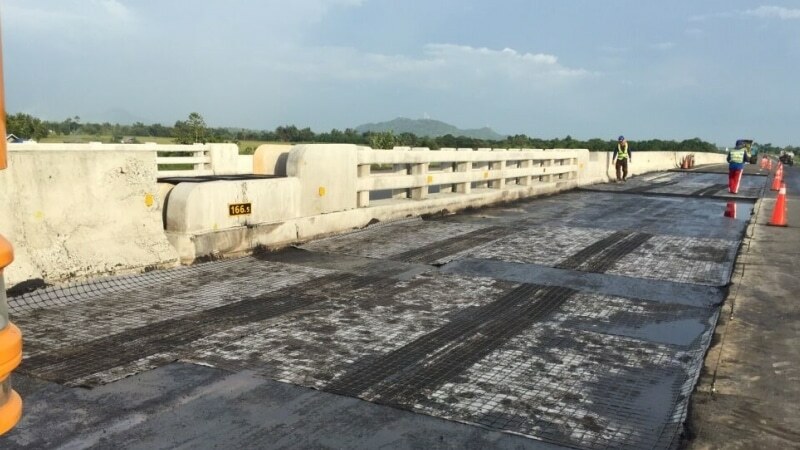 Asphalt reinforcement interacts with bitumen bound layer to add tensile stiffness that limits asphalt strains and reduce the development of cracking. 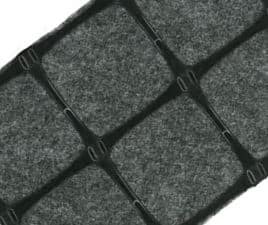 Asphalt composites are asphalt reinforcements that are composed of grids bonded to a textile fabric. 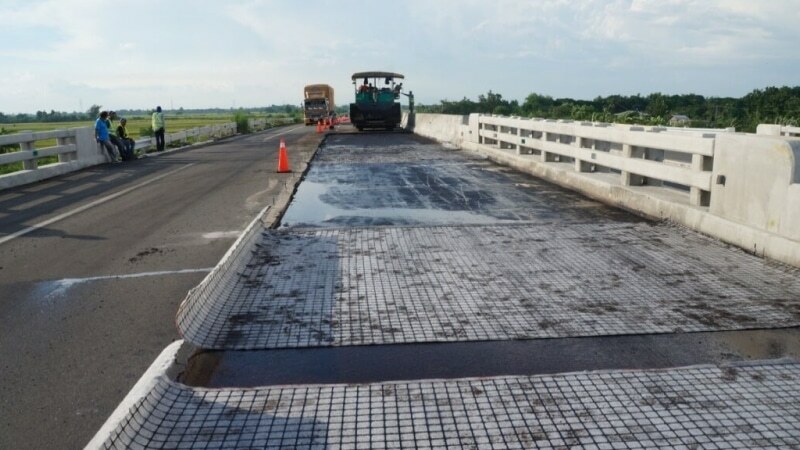 This fabric absorbs bitumen from the bond coat, acts as a stress relief, and also acts as a barrier to help prevent water to get into the pavement underlayers. 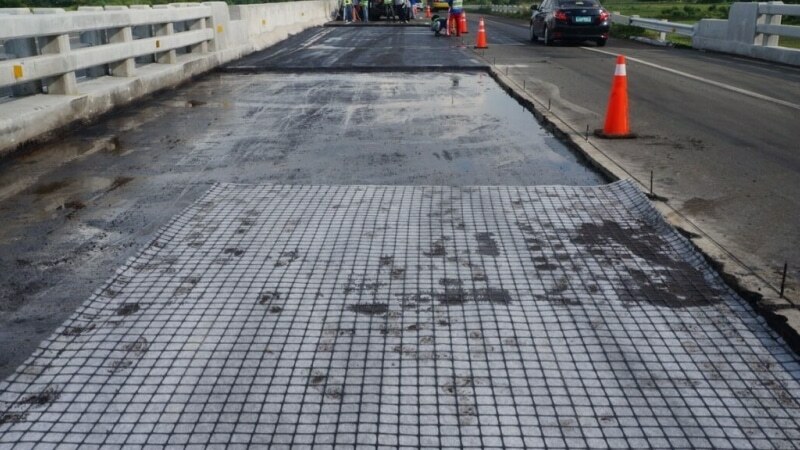 Installation of asphalt reinforcements is a practical and economical solution to the demand for road durability. It provides long-term cost savings compared with other restoration methods. 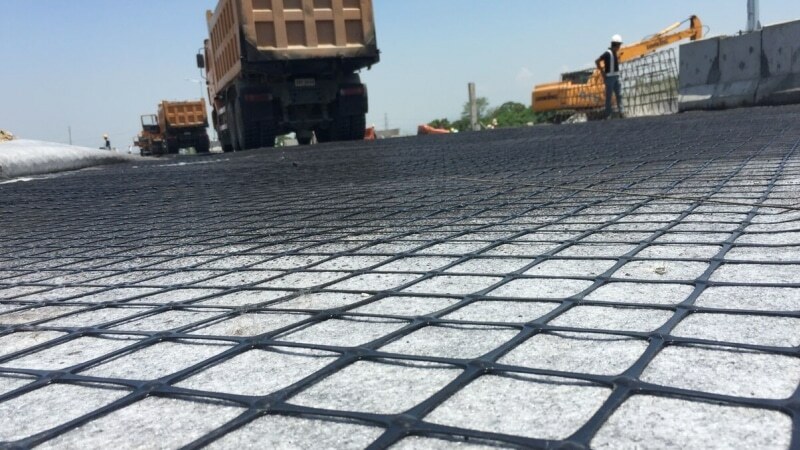 AR-GN is a composite interlayer comprising a punched and stretched polypropylene geogrid thermally bonded to a fabric backing. The fabric backing facilitates installation and provides a long-term sealing effect -once saturated with bitumen. 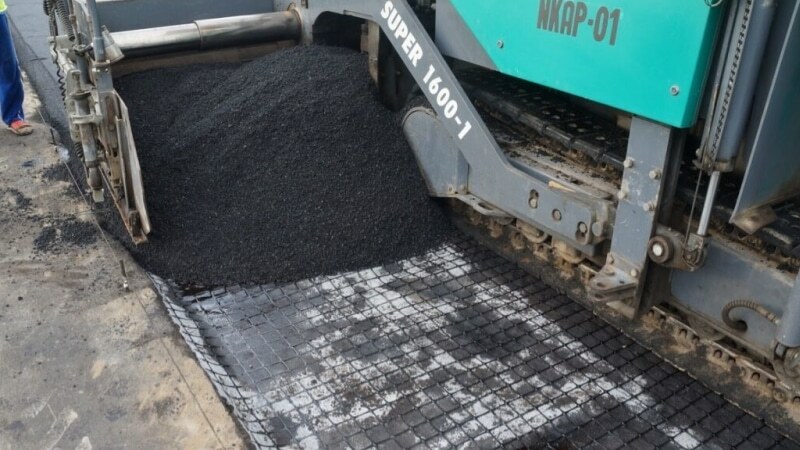 Owing to the 3-dimensional geometry of the geogrid, the new asphalt layer is mechanically interlocked into the geogrid’s wide apertures, thus providing reinforcement, stress relief and sealing functions. 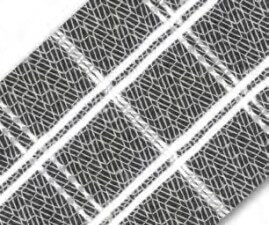 Glasstex is a composite interlayer comprising a grid of glass filament bundles stitch bonded to a non-woven polypropylene fabric both the longitudinal and transverse directions using polyester yarn. The glass fibers provide high tensile stiffness, and the polypropylene fabric provides a means of maintaining the required geometry of the composite, as well as a fixing layer during installation. After being saturated with bitumen the fabric performs a sealing function. 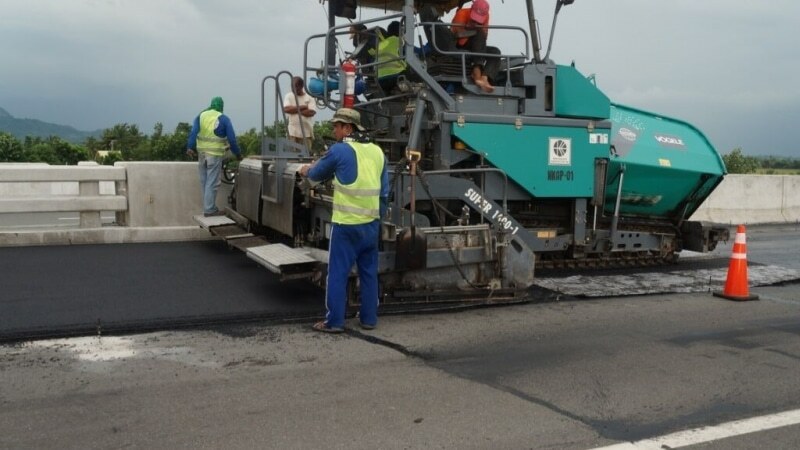 It is used for both the reinforcement of asphalt layers in the construction of new pavements and of asphalt overlays in the rehabilitation of existing pavements. 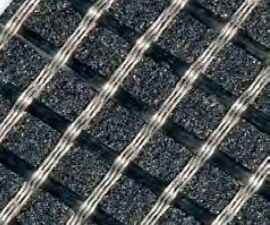 Glasstex Patch 880 consists of a glass yarn grid combined with a polymer modified bitumen membrane. The underside of it includes an adhesive coating, while the upper side is treated with a protective layer of quartz sand. The adhesive layer is protected during storage by a peel-off release film. Glasstex Patch does not require specialist installation and can be affixed to most sound substrates using the adhesive coating. This is specifically designed for control of localized reflective cracking and to be quickly and easily applied using a minimum of equipment and manpower.